This excerpt is from an article first published in Restaurant Facility Business Magazine in February/March 2012. As any restaurateur knows, seal coating is an important part of a parking lot maintenance plan. Seal coating fills surface voids, which delays oxidation and protects against UV rays and reduces the depth to which oil or gas can penetrate the pavement. A sealer acts as a waterproofing agent, minimizing the rate at which water enters pavement. Without it, water can permeate more freely resulting in freeze/thaw expansion and contraction of the pavement. Perhaps most important, a properly sealed asphalt structure can last as much as double a similar area that is left untreated. Considering the uncertain future cost of replacing asphalt compared to the minimal cost of seal coating, the choice to perform this preventative maintenance procedure is clearly a better return on investment. Thankfully, due to the ever-growing green building movement, there are alternative products on the market. Some of which may even qualify for various LEED® credits, depending on the project. One such option involves the use of a bio-based sealer. Bio-based sealers are soy based and contain no petroleum, making them a uniquely sustainable alternative designed specifically to maintain and preserve asphalt pavements. When applied regularly, every three to five years, bio-based solutions yield significant advantages. Some of these benefits include: cure time of 60-90 minutes, no tracking, cost effective, reduces moisture penetration, and it is carbon negative. Once applied, the sealer works deep into the asphalt matrix, penetrating on average 0.75 to 1.25 inches deep. There is also no need to restripe after application, which saves the hassle of extended parking lot down time and expensive labor. It also helps maintain the skid resistance that deteriorates as asphalt wears down over time. Furthermore, by reducing moisture penetration and sealing hairline cracks, a bio-based sealant reverses the oxidation process and protects asphalt from developing potholes, edge rutting, and cracks. Although bio-based sealant is best applied on new asphalt within two years of installation, it is never too late to consider how this product may change the lifespan of an asphalt investment. Q: Since the material goes on clear, how can its effectiveness be determined? A: A bio-based sealer will not turn a parking lot black like traditional sealers, but there will be a tinting of the surface once applied. Additionally, since a bio-based sealant is a penetrating rejuvenator, the best way to show the benefits would be to have core samples performed both before and after the application. Q: What is the optimum timeframe for application? A: It is recommended to wait between six months and one year to allow full curing of new asphalt before application. Ideally, a bio-based sealant should be installed within the first three to four years of the pavement life, and every three to five years after that. Q: Is it possible to apply a bio-based sealant at night and still use the parking lot early the following day? A: Yes. One of the advantages of the product is the rapid cure time and lack of tracking. This makes it ideal for high traffic, high volume restaurant locations. Q: Can a bio-based sealant be applied over a previously sealed lot? A: No, it cannot be applied over a parking lot that has been previously sealed using a traditional product such as asphalt or coal-tar based sealers. Q: Are there any drawbacks or other considerations associated with a bio-based sealant? A: As with any seal coat procedure, prior to application any structural failures or cracks on the pavement must be repaired. Additionally, cracks must be cleaned and filled prior to application. Be advised that a bio-based sealant is not as effective protecting against oil and gas penetration as a traditional sealant. Also, the application rate may need to be increased if the surface is severely oxidized, which would require more material. Since it is a newer product, obtaining multiple bids with the exact same specification and application process will be difficult. 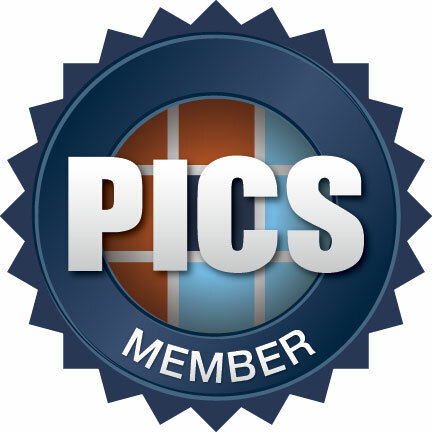 If considering, it is best to consult with an exclusive distributor of the product. 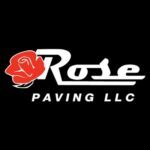 This excerpt is from an article written by Ryan Labuda, director of the Special Projects Division for Rose Paving Company. First published in Restaurant Facility Business Magazine in February/March 2012.